Synopsis: Interest of historical geography is not limited to the locations of historical importance or places with many historical sites. On the contrary, areas of less historic importance often emerge as places of geographical interest. In other words, from a geographical perspective, wherever human beings reside is worth studies and fieldworks. Human beings are living on the earth often oblivious to the grace in nature. It is considered natural that regional studies focus on intangibles such as history, politics and economy rather than nature or land. Regional studies revolve around specific historical events or leading persons while ignoring the life of everyday people. How our forefathers expanded agricultural lands and conducted farming, what kind of houses they built and how they established settlements were considered matters of no consequence. This point of view stems from the ruling class which lacked the interest to keep records of the lives outside their class. The lives of ordinary people, being unable to write and keep records of themselves, are hardly documented. While written historical references are deficient, vestiges of the common people's lives remain in the cultural landscape, in the minds of people and their way of living. It is not impossible to review regional characteristics based on various aspects of everyday lives of the people. 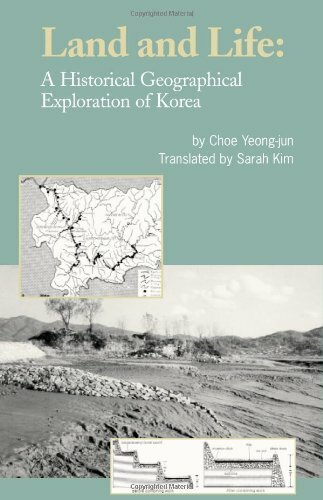 This book is one such study within the Korean context.